If you need a team of specialized New Jersey computer movers for your next relocation, then look no further than the experts at Booth Movers! Since 1945, our New Jersey electronics moving company has been serving the Bergen County area with high-quality services at affordable prices. Since the beginning, our mission has been to provide the highest level of customer care for every relocation project. In addition to our BBB accreditation and ProMover certification through the American Moving & Storage Association, our New Jersey computer moving company is also a proud member of the New Jersey Warehousemen & Movers Association. 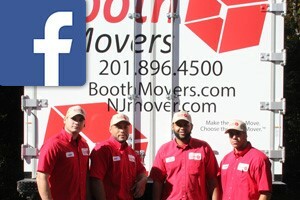 For all of your computer and electronic moving needs, Booth Movers is the most trusted name in New Jersey electronic movers! Our New Jersey computer moving company understands the care and efficiency needed to transport specialized equipment. As a trusted agent for Atlas Van Lines, our New Jersey electronic movers are equipped with state-of-the-art equipment and unmatched resources that are guaranteed to make your move a seamless process. Need additional commercial moving services with your specialized move? No problem! Our New Jersey computer moving company does it all! Commercial Movers – To minimize your company’s downtime during the relocation process, Booth Movers will work with you and your staff to keep your move on time and on budget. Office Moving – Our professional New Jersey moving company has the experience and expertise to complete office relocations of any size. Are you interested in learning more about our New Jersey electronic and computer moving company? Give us a call today, or fill out our simple online form to request your free, no-obligation estimate!